This is a band called OKA playing at the Boundary Hotel in Brisbane last weekend. 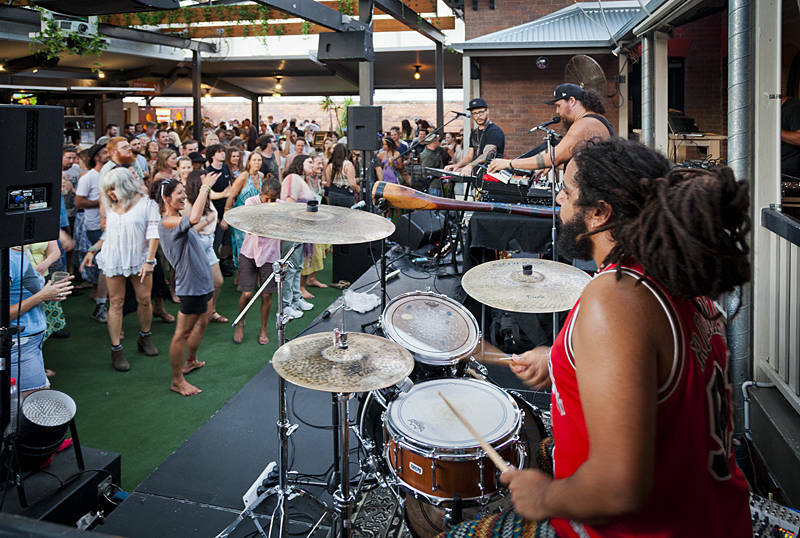 Their music is a beautiful blend of Reggae, Dance and Didgeridoo. I had seen them put on a great performance once before on their home turf of the Sunshine Coast so did not need any persuasion to go to the gig. I was in Brisbane to take my Australian citizenship test the following day. The test went well and I should get sworn in in around 6 months.